Turbine manufacturer Envision Energy has secured a new credit line from Spanish bank Santander with support from Danish credit agency EKF and LM Wind Power. The funding from Santander will allow Envision to continue its growth in the European wind sector, said the company’s chief financial officer, Lily Low. To benefit from the credit facility, Envision and LM Wind Power must continue to work together on future wind power projects, both in China and worldwide. LM Wind Power is a regular supplier of blades to Envision. 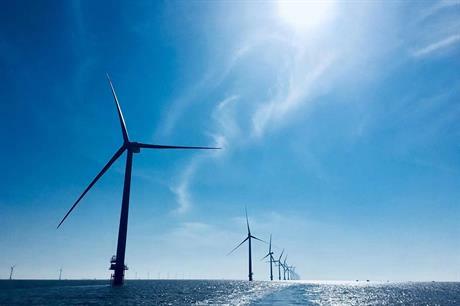 It previously installed its 66.5-metre blades on Envision's 4.2 MW-136 turbines at the Rudong offshore wind farm in China. "This EKF-backed credit line will support our international expansion enabling us to deliver our growth strategy, with the Denmark-based companies as our business partners. LM Wind Power is the largest, global wind turbine blade manufacturer and it is also the largest Danish supplier of Envision. "The company played a critical role in facilitating the set-up of the EKF-based credit facility," said Low. The deal was arranged after EKF issued a buyer credit letter to Envision in March 2019, giving the Chinese firm access to global funds. "EKF has participated in wind farm financing worldwide, and we are pleased to be able to expand with this new programme that supports Danish suppliers’ sales to Envision," said Christian Ølgaard, deputy CEO of EKF. Duncan Berry, CEO at LM Wind Power, added: "Everyone wins: from a sovereign credit agency to financing institution, from lender to borrower, and from business exporter [in LM Wind Power] to the ultimate beneficiary [in Envision Energy]." Stay up-to-date with all of the events from WindEurope 2019, by following our dedicated show page here.